Floyd Gottfredson's classic 1930s Mickey Mouse is back for another round. Mickey's vintage Disney bad guys are here too, with arch-enemy Pegleg Pete joined by the mysterious 'Bill Shakespeare' and hypnosis-happy Professors Ecks, Doublex, and Triplex. Restored from Disney's original negatives and proof sheets, 'Mickey Mouse: Trapped on Treasure Island' also includes more than 50 pages of supplementary features, rare behind-the-scenes art, vintage publicity material, and commentary by Disney historians. 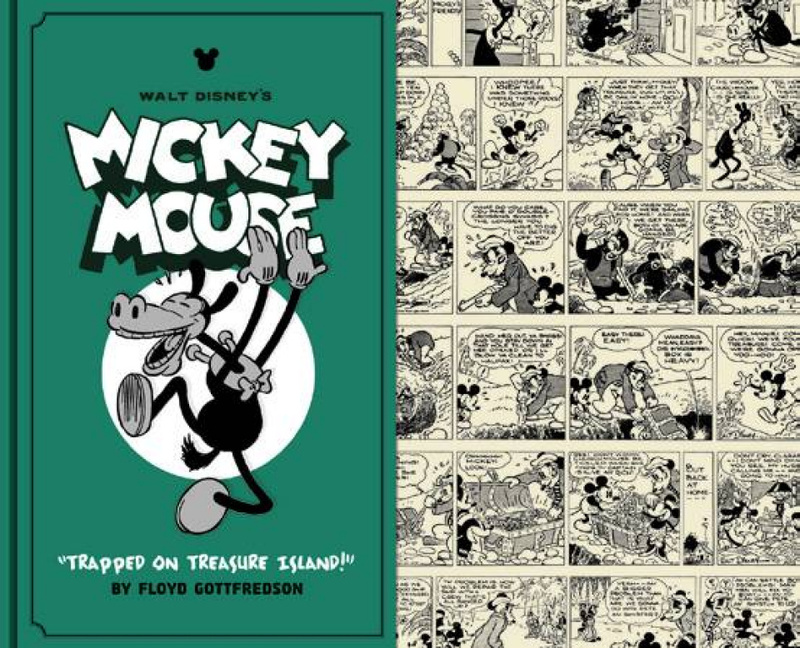 Rediscover the wild, unforgettable personality behind the icon: Floyd Gottfredson's Mickey Mouse!